Delichon is also one of the UK’s top providers of customised seating for clients with special needs. 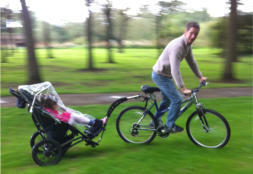 We offer practical solutions to your mobility requirements. Set up as a family business in 1996 by Martin and P-J Davy, Delichon is a small company that cares about all its customers and its products. Based in converted farm buildings in the village of Martin, Hampshire, our team of dedicated staff work hard to provide a friendly, caring and efficient service. Originally set up as a seating company in 1996 we became aware that although our seating on a wheelchair provided a functional and comfortable base for everyday school and home use, our customers were, in the main, unable to get out and about easily in the countryside and to more remote locations. 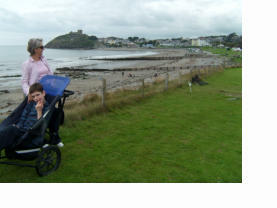 We were one of the first companies to use three wheeled All-Terrain buggies to get disabled children and adults out and about. 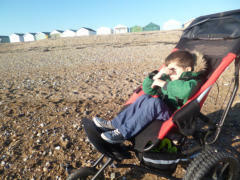 We started by offering a standard baby buggy back in 1996 and this was followed by a range of other buggies including the Ranger Mountain Buggy which we developed in conjunction with Mountain Buggy New Zealand. In 2007 we launched our own ATB - the Delta. Using all the information we had gained over the years and our extensive seating knowledge we have developed an excellent seating position within the canvas which is suitable for a range of clients, including those with more complex postural requirements. Designed and developed by us, and manufactured in the UK, the Delta has quickly become the answer to how do we get out and about. 2013 saw the launch of the NEW Delta range including an XL model for clients up to 195cm tall and a cycle trailer conversion kit (Delta Trail) for the Small and Medium Deltas. Alongside the Delta, we are also proud to be the UK distributor for the Hippocampe. 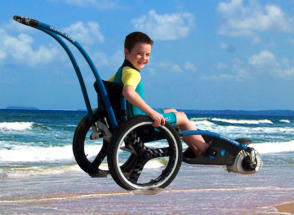 Produced in France, this is a beach wheelchair with 3 wheels which can be used off-road and in the sea! 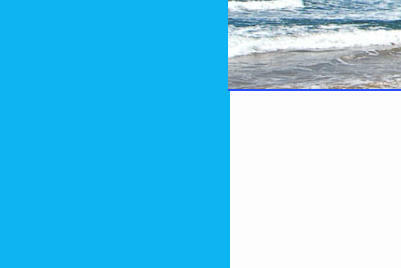 New for 2013 skis to replace all the wheels! 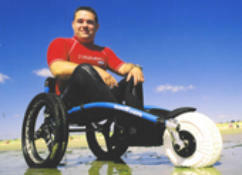 Based in the UK we have been selling 3-wheeled mobility products for the last 18 years. 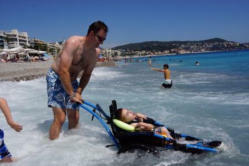 As specialists in Beach Wheelchairs and All-Terrain Buggies for children and adults with special needs we can offer considerable experience alongside our enthusiasm for the great outdoors when helping families to venture out together.